Searching for a relaxing night out about town? Is R&B your preferred genre of music? If you answered yes to both the questions, the Blue’s Can is the perfect place for you! 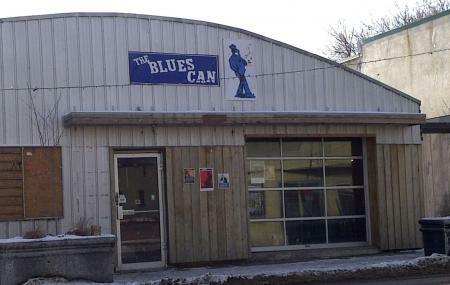 The Blues Can is a Live Blues Bar located in Calgary. Great live performances go hand in hand with a perfect atmosphere- dark and intimate, with wonderful acoustics. And the delicious food they serve compliments everything! Some shows have a cover charge while some don’t. Live performances generally start 7.30 p.m. onwards. How popular is The Blue's Can? People normally club together Conversation Sculpture and The Calgary Zoo while planning their visit to The Blue's Can. If you are a music lover this is a MUST SEE. Small venue for up close and personal Blues shows. Come early as seating gets filled up very quickly. Staff are quick and efficient as it is a fast past environment for them. Please note there is usually cover here avg $20 /head depending on artist performing. So much talent comes through this place. CASH ONLY. Excellent tequila. Reasonable prices. Fun at the Saturday afternoon jam from 3-6PM. Go early to get a seat. Dancing floor. Friendly welcoming atmosphere. Great server. Good food. Amazing music! Perfect night out. Calgary's premier blues bar... live music nightly... superb staff, well situated along the Music Mile in Inglewood, good food and decent beer selection. Highly recommended to anyone who enjoys authentic music. This was my first visit and I’ll definitely be back. Every seat in the house was taken, the band was more than worth the cover. Over 25 crowd. It’s definitely not fancy inside but the washrooms were clean.